Because you are cooking rice in the morning, and then eating it up to eight hours later, there are a couple tricks you should know that will help you make sure it is not too mushy. First off, not only do you trap the heat form the boil inside your thermal cooker, but because it is closed up, you are also containing the moisture and steam. Thereby, in comparison to other methods of cooking rice, you will actually use slightly less liquid, when making rice inside a Saratoga Jacks thermal cooker. This is a good thing in an emergency, because you will want to conserve water as well as fuel. 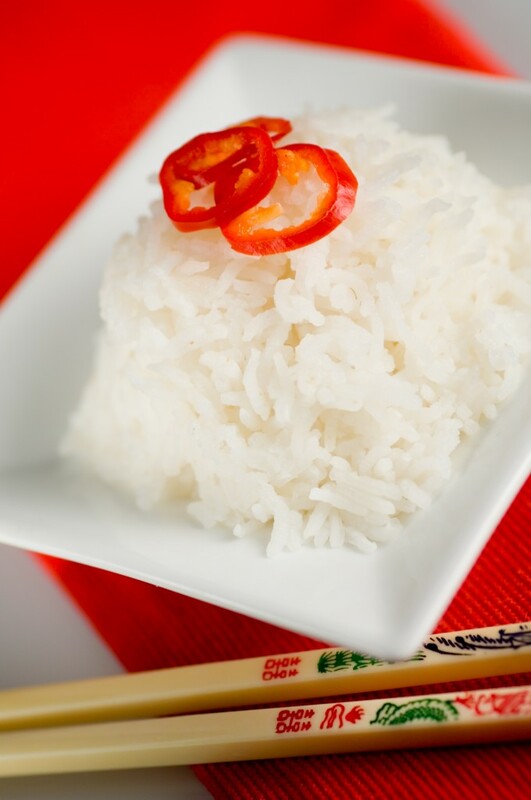 Our FAVORITE RICE to use with the Thermal Cooker is Ricelands Long Grain white rice, from Costco or Sams club. The recipe below was tested in our 7 liter Saratoga Jacks thermal cooker. STIR the boiling rice for a full four minutes. Then remove from the heat, and place into the thermal cooker. THIS RICE RECIPE is ready to eat in about two hours, but will remain perfect for up to eight hours easily. ANOTHER EXAMPLE: If we are using the large pot below for chili and the smaller one above for rice, we recommend for the smaller pot using 4 cups of water, a pinch of salt, brought to a boil first, and then add 2.5 cups or rice.